Originally developed by ProgeCAD, acis.dll is a legitimate file process that is associated with progeCAD 2011. It is an important component of progeCAD 2011 and is located in C:\Program Files \ProgeCAD \progeCAD 2011 Professional ENG \ by default. acis.dll virus is created when malware authors write virus files and name them after acis.dll with an aim to spread virus on the internet. How to check if your computer is infected with acis.dll malware? Step 2: If you notice the file located outside C:\Program Files \ProgeCAD \progeCAD 2011 Professional ENG \ , you should run an antivirus scan to get rid of the malware. How to remove acis.dll malware from system using Comodo Cleaning Essentials? 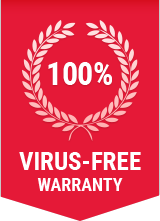 You can either choose to remove acis.dll and other malwares using Comodo Antivirus, or Comodo Cleaning Essentials (CCE) – both of which are absolutely free to download! CCE is a set of computer security tools designed to help you identify and remove malwares and unsafe processes from an infected computer. The process to initiate the above mentioned scans are self-explanatory and thus, easy-to-use. Additionally, it's recommended that you approve of any updates that the CCE will prompt you about to ensure it does a better job of identifying all the latest threats.